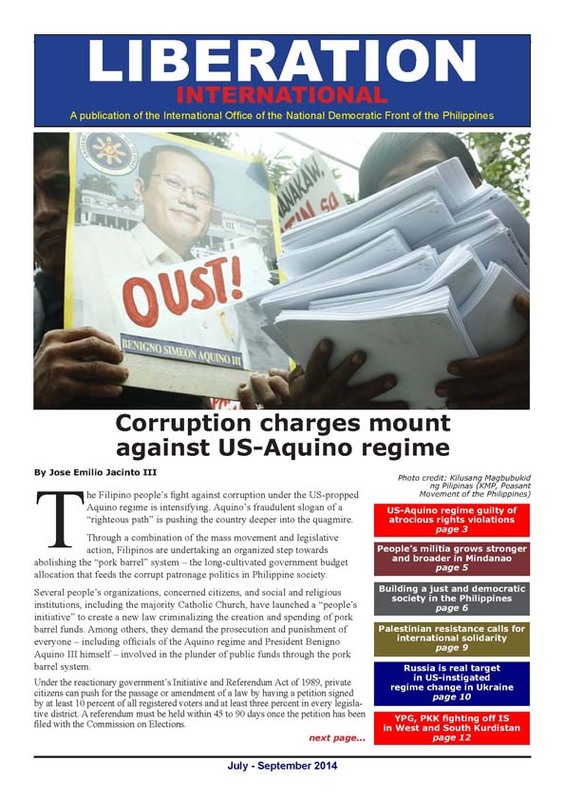 The Filipino people’s fight against corruption under the US-propped Aquino regime is intensifying. Aquino’s fraudulent slogan of a “righteous path” is pushing the country deeper into the quagmire. Download Liberation International, July – September 2014 issue.